It’s said that the game industry’s fascination with the Second World War has now run twice as long than the war actually did. Given that the original multiplayer FPS was centred around killing Nazis (or mutated/undead/robotic versions of them, at least) back in 1992, you’d think that we’d have seen all there is to see by now, especially from the first person shooter perspective. 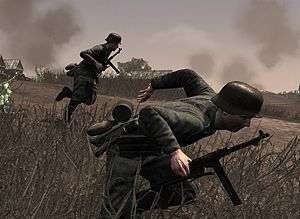 Given that we were also at that stage in 2004 when we’d first completed the cycle, Tripwire Interactive proved that there was still plenty of work to be done on the subject yet – creating, releasing and winning the ‘Make Something Unreal’ mod competition with their entry, Red Orchestra: Combat Arms (later released as RO: Ostfront 41-45 at retail). The game was a major innovation in the FPS genre, heavily praised for its no-nonsense approach to shooter mechanics by boldly electing to remove the crosshair from the HUD, forcing players to make use of a weapon’s iron sights should they actually want to hit anything. It was the most refreshing game I’d played in a long time, with 32 man multiplayer battles being more tactical and patient affairs with plenty of teamwork required in order to edge out the win. Six years on from that initial retail release and the team are back with a fully realised sequel, complete with a single player campaign for the very first time, and all released on the eve of the biggest FPS war in gaming history. Having known that the team had long been at work on this, I was notably keen to get back in the trenches with this one and to see how the six year gap between the projects had impacted upon that. 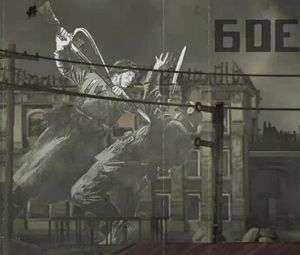 With the rise of Call of Duty making the genre a global phenomenon, and physics and visuals far surpassing everything the original Unreal 2 engine was ever capable of, surely one of the most innovative teams in the field had bigger plans than my own expectations for Heroes of Stalingrad? No. Well, maybe they did have big plans but none of them have really translated well at all. Given that a lot of early reviews for Red Orchestra were lauding its impressive showing, imagine my disappointment when, after loading up the game for the second time following an initial crash to desktop, I fired up the newly touted single player campaign only to be met by a badly thrown together AI rendition of a multiplayer game ,in which my impressive D/K (Death to Kills) ratio was proving to be incredibly indicative of the very minimal impact I was actually having on the whole experience (which, by sheer fortune and mass confusion, we somehow won). 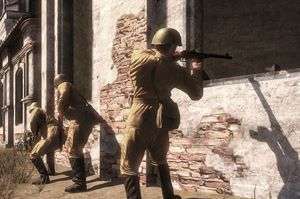 Of course Red Orchestra isn’t designed to be played as a single player game and the two campaigns provided are, of course, just an extended tutorial to prepare for the more extensive multiplayer experience. Sadly, they’ve attempted to disguise all that through a narrative, charting the game’s focus around the Battle of Stalingrad, offering you the first perspective of the invading Axis forces and then allowing you to drive back the German forces with the Soviet Red Hammer. On digital paper, it sounds like a reasonable thing to do but, given that you’re not actually engaging in a scripted sequence of fire-fights and carefully designed gameplay, shared with characters that you’ll grow to love and hate, there’s just no immersion to warrant you ever paying attention to what narrative has been tacked on either side of a level, catering only for the history buffs, leaving nothing in the way of scraps for the average gamer. Each stage takes place on one of the varied multiplayer maps, with a series of territory occupations standing between you and advancement on to the next stage. In order to claim an area for your side, all you need to do is get a whole bunch of your friendly killing machines inside the minimap detailed zone, thinning out the opposition forces until you have the numerical supremacy that will allow for the zone to begin changing over to your possession. Once captured, the enemy forces immediately retreat to defend the next checkpoint and you press on. Never will the defending side be able to reclaim a capture point, with them only able to win by holding back the aggressors beyond the pre-set time limit. For the most part of both campaigns, you find yourself with your attacking boots on and in the position where AI appears to rely solely on you leading by example. Thankfully, they only seem to require that sort of approach in terms of how far up the field you’re willing push and pay no attention to your skills (or in my case ‘lack thereof’) with your trigger finger and iron sights. As was the case with the game’s earlier iterations, no aim-assists in any form are provided, save for the impeccably detailed weapon models, further complicated by disturbingly accurate bullet trajectories that you’re welcome to compensate for by adjusting each weapon’s range finder. You can try to shoot from the hip of course but, unless your barrel is lodged firmly in your enemy’s hip, don’t expect good things to emerge from this tactic. Either way, expect to suffer more deaths than you deliver and be prepared to spend your time playing this sitting with your back to a wall, waiting for the AI to do all of the work. With simulation being at the game’s core and the lack of a HUD key providing that experience, don’t ever expect to know just how much health you have or how many bullets are in your mag. There is a regenerating health feature of sorts that kind of eradicates the need to know how much longer you have left to live, provided in the form of a suppression system, which will put you in a much more vulnerable state during times of intense incoming fire, returning to normal seconds later (only for you to then take a bullet to the temple from seemingly nowhere and be forced to wait for the respawn). Coupled with a greyscale camera effect and a narrowing of the audio band, you start to feel the pressure during these instances and it’s here that I started to find myself enjoying the game, despite its shoddy first showings. The first time I found myself aiming a weapon properly, for example, I realised I was syncing my own breathing with that of my on screen soldier. With a weapon iron-sighted (a simple right click), you can then further control your aim by holding the shift key to steady your breathing, immobilising you in the process but dramatically improving your accuracy. You’re immobile while doing this because the shift key also doubles as sprint, which is where that immersion is immediately snapped away as it’s something Red Orchestra often confuses (in the game’s current state) and can result in the animation for the weapon entering its sprint cycle when it should be closely sighted. This problem also appears with the ‘Use’ key – left control by default – which also acts as the game’s enter cover and apply bandage functions. This leads to you often being penalised for standing too close to a wall that the game believes you wish to take cover behind when you’ve taken a nasty bullet, leaving you to just stand there until you eventually bleed out. Similarly, if you were hoping to swap a weapon out to that of a fallen opponent, you’re going to want to hope that it landed out in the open, because guess which button you need to press for that one? Bleed effect also currently suffers from an odd issue that has been the source of much annoyance for the more vocal members of the Red Orchestra’s community. Don’t be surprised during the post ‘you just got shot in the head’ moments when the game offers for you to apply one of your two remaining bandages to stop the bleeding, despite being, y’know, dead. Also, brace yourself for the frustration of when you are actually bleeding for the game to never offer you the option to heal yourself, leaving you unable to move and only able to fire blindly as the screen slowly fades to black. I don’t doubt that this will be patched further on down the line, but with this being a twice already patched retail version with six years experience and an existing base already in place, you have to ask yourself what else is wrong with the game if its control system isn’t communicating with the rest of the product. Relevant to the single player campaign, be prepared to take what you’re given when it comes to class selection. Players aren’t able to fully customise their kit, instead being asked to fill the roles of Rifleman, Machine Gunner, Engineer, Sniper, Squad Leader and Commander. In the later missions of the Axis campaign, you’ll find yourself starting each level as either a Squad Leader or Commander, but that’s about as far as the developers appear to have wanted to go when it came to assigning you a class. On death, you’ll randomly assume command over any surviving AI, which could place you as a Sniper at the back of the map, a Machine Gunner mounted in the window of a building that you have no idea how to exit, or a bog standard soldier, literally, in the thick of it and only seconds away from death. While this may be the best way to learn all aspects of the game, it’s certainly not the best way to achieve anything as you really do need to be on the frontlines at all times and if you don’t have the right tools for the job, you’re even more screwed than you were already. The whole game is tailored as the most accurate experience you could ever have of 1940’s warfare though, and perhaps that feeling of hopelessness and despair is exactly what Tripwire were trying to capture. Quite why you’d want that experience so accurately detailed is a question best saved for another day, but despite any technical flaws the game may have its design certainly lives up to the billing. Maps are as large and open as you’d hope for, with no bottlenecks and plenty of opportunity to go off on a little sneaking mission behind enemy lines all on your own. As previously detailed, the weapons are incredible accurate, with haunting bolt and gunfire sounds and only some jarring voice work that ever gets in the way of all that, most notably that every Russian soldier sounds like Heavy Weapons Guy – an incredibly disappointing corner to round. What really scared me about the passion for recreating the era was my first experience inside a Panzer Tank. Each tank has to be manned by multiple players, offering a first person perspective from inside each of the stations with the option to then look through the incredibly narrow view points, or to be bold and pop the hatch, surfing your way to glory like a pony on the back of a pickup. While the levels I played where I was operating a tank were probably some of the worst (and, amazingly, the most punishing), it was hard to do anything but admire the work that had gone into capturing that feeling of authenticity that I know other players could spend days enjoying. Having wrapped up both of the single player campaigns within a few hours (following a day long wait for a patch to fix an amazing error in which troops that you were supposed to destroy during the artillery spotting training miraculously survived the whole ordeal), I at least felt familiar with all of the maps, having played them from each side and was, in some way, confident that I could take on the world in multiplayer. This was provided they were all looking the other way and horribly out of ammo of course, so scratch one for the single player – just one. It’s here that my ability to persuade you whether or not you should buy Red Orchestra will end. If you’re a fan of the series, chances are you’ve purchased the game already or have been sat on the fence waiting to see if they’ve sacrificed anything in order to provide for the new armada of cash laden FPS fans. By now, you will already have read that they haven’t, the game is still only for the strong of heart and true of aim. There are, however, some odd concessions that the game makes which suggest the experience is a little more schizophrenic than it should be. 3D spotting, the new must have accessory, appears to players who activate the tactical view, instantly cluttering the HUD with icons and markers that are available in every other shooter, but shock you when they appear given the minimalistic approach. Players will insist that this isn’t true 3D spotting as it’s only available if you hold ‘T’ during the Commander’s Air Recon ability, or when players have tapped ‘Z’ on an confirmed enemy target, but the fact remains that the feature exists and if you want to gain an advantage over the other team, you’re going to need to use it. It’s almost heartbreaking given that the game is enforcing a simulated approach, but allowing other players to cut corners for easy kills. If having worked your way into some fantastic lone-wolf fox-hole has allowed you to escape that wrath, don’t for the love of god kill anyone unless you want to pay a penance because the dead player’s now going to get a kill-cam shot of exactly where you are. To me, that just doesn’t make sense. Even though I think it’s what works best for the game in terms of fairness and balance, that’s what every other game has and the franchise has always been about setting itself apart from that up until now. With the ability to select classes in multiplayer comes the added ability to also level up. XP is awarded for the completion of levels, scoring of objectives and the killing of your enemy, and with increased levels comes added bonuses to the classes such as faster reloading times and the obligatory unlockable weapons. Being able to select a class offers the system to abuse though, or it would if Tripwire hadn’t already foreseen that possibility. Every class is restricted to just a few open slots to avoid a team of twenty snipers and one lone machine gunner, with a voting system in place to eject players who are believed to be performing badly in the more exclusive roles of Squad Leader and Commander. For game modes, the Attack/Defend capture mode (dubbed Territories) that’s heavily abused in the Single Player Campaigns takes pride of place on the server browser, with Countdown providing a more tactical experience, but with long delays separating waves of respawning, and Firefight offering a more casual experience ,which encourages spawn on squad. All of the game modes still focus around the capture of territories. There’s a notable absence of any straight Team Death Match modes though and it can be difficult to tell the difference between the three even when you’re playing them, as you’re essentially doing exactly the same thing. Despite struggling to ever get to the same skill levels as everyone else currently playing the game, I did enjoy these bursts of multiplayer. Red Orchestra is, without doubt, one of the most challenging and punishing games I’ve played in a very long time, but all of this only helps to make the rewards feel that little bit sweeter. Whilst skill does play a heavy part, the mechanics of the game are put in place in such a way that always makes the playing field feel level. The guy in the window who shot me from sixty yards away may have had impeccable aim but I know it wasn’t his first shot, and I know that if I can just take a different route around that building I can eventually work my way up to him and dispense a little justice of my own. Perhaps what gets to me the most though is that the game is still in development. I don’t mean that in a sense that suggests Tripwire still have a lot to do in order to make this a better experience – they do – but they’ve already announced that they have much greater plans for the game beyond the basic (and long) list of bugs. A full and more traditional single player experience has already been announced, promising scripted set-pieces and a story driven campaign that’s set to make full use of everything the game has to offer, along with Co-Op support for both this newly announced campaign and the existing AI slaughterfest. More vehicles are also set to feature later in the development cycle as well as numerous other features that are yet to be announced. This is perhaps a current high horse of mine, given my recent experience with Dead Island, but given the game’s already exhaustive development cycle, why is it that players are being asked to purchase a title that clearly isn’t ready yet? I really wanted to like this game. I wanted it to be the game that came along and said: "Hey, you there! Battlefield 3 and Modern Warfare 3! 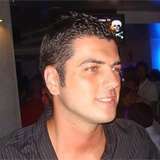 I'm a great game with many good ideas and real gamers are going to respond to that by playing me!". Well, you go ahead and shout that Red Orchestra 2. You go ahead and put your underwear on your head, paint spiders on your chest, stick your slippers on and head into the street, waving a Kipper and shout that as loud as you like. You have a fantastic premise and I don't doubt that you will succeed with your existing fan-base and maybe garner enough attention to grab a few thousand more. But you're lying about what you are and I'm quite sure you're aware of that. Red Orchestra 2: Heroes of Stalingrad is a bad game. It's technically flawed, with poorly implemented controls and no real sense of its own identity. Given time, I believe that the game can of course change all that, but by the time they do it'll be 50% off in a Steam sale and the top dogs will already have swallowed up the market. There was a wonderfully realised opportunity here, may it long rest in peace. The summary made me laugh way too much for my own good. 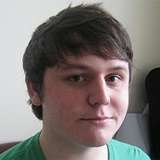 Another top review Adam! To be honest though, I’d not have invested even if it was a good game; I’ve long tired of the FPS and if WW2 keeps showing up in games I might have to instigate my own war just so we have something different to make war games about. I’ve had my eye on this game for a little while now. Disappointing to find out that the singleplayer isn’t up to scratch but it’s good to know Tripwire are working on sorting that out. Hopefully they’ll keep their word. I’ll be all over this at some point down the line.